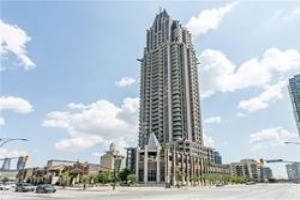 Beautiful 39th Floor Unit In Landmark Building! This Renovated 1Bdrm Unit Boasts Panoramic Views With A Large Balcony(200Sqf+). New Floors And Freshly Painted! Roof Top Lounge, Indoor Pool, Sauna, Hot Tub, Gym, Basketball Court, Theater Rm, 24Hrs Concierge, Guest Suites, Visitors Parking And Located In The Heart Of Mississauga. Great Parking Spot Conveniently Located On P2 And Comes With Locker. 30000Sqf+ Of Amenities! Comes With Parking Spot On P2 Close To Elevator And A Locker! Includes Washer/Dryer, Stove, Fridge, And Dishwasher. 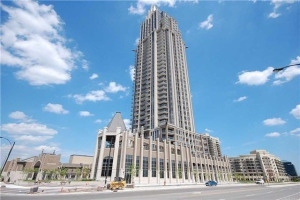 Large Balcony With 3 Walkouts And Great Views Of Mississauga. Walking Distance From Square1.